With 6,000 visitors each year, the Cowichan Estuary Nature Centre is a popular attraction for young children, students, tourists, and local residents. We are run by team of generous and talented volunteers, and we depend on donations from individuals and businesses to run our programs and keep our doors open. We can’t do it without you! 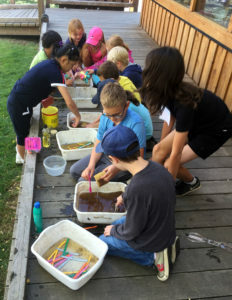 Providing interactive opportunities for all ages to learn about the estuary, its watershed, marine and bird life, and natural and cultural history, and engaging volunteers in habitat restoration projects, the Nature Centre is an excellent community partnership opportunity for companies seeking to profile their commitment to social and environmental responsibility. 1. ONLINE You can become a supporter by making a donation, or even becoming a monthly donor, online through a trusted and secure website called ‘Canada Helps’. Please click here to show your support. 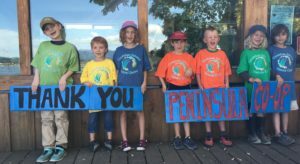 • Program Sponsorship supports our school-curriculum-linked education programs and our summer science camps for children. Program sponsors get onsite brand recognition as well on our website and via social media so the public is aware of your support for the Centre. • Exhibit Sponsorship is an opportunity to show support for one of the Nature Centre’s aquarium exhibits. Sponsors cover aquarium maintenance and the care and feeding of over 20 species of sea creatures. Your name will be displayed on the exhibit, and you will be recognized in social media and on our website. Ocean Lover $100 – $249 Donor wall, website and social media recognition. School or Special Program Supporter $250 – $499 Website, social media and in the Centre recognition, ‘thank you’ letters from students at the schools or groups you sponsor. Estuary Exhibit Supporter $500 – $1,000 Recognition in exhibit signage, on our website and in social media recognition. (or $1,000/year for 5 years) Recognition in signage visible outdoors, on our website and in social media. Plus, a special program/event or a hands-on stewardship opportunity for you and your staff can be arranged. Make a monthly donation. Monthly donors allow us to plan ahead and develop new programming because we know that we can count on your monthly support. 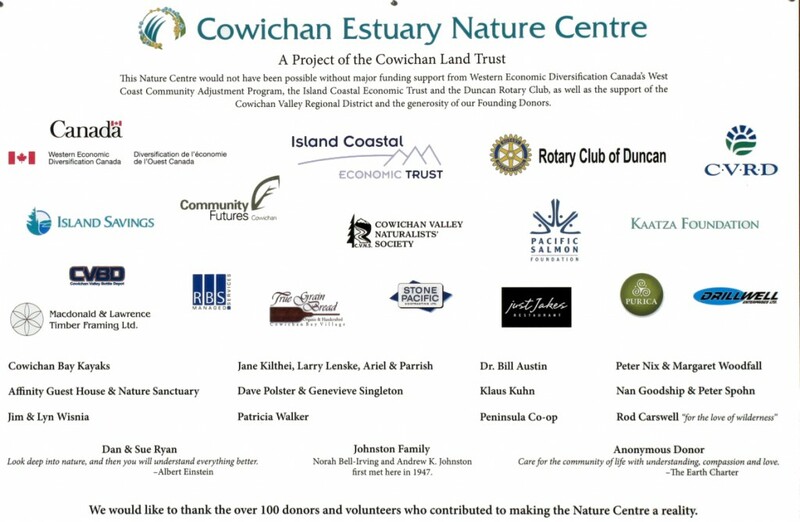 Consider a bequest to the Estuary Nature Centre via the Cowichan Land Trust when preparing your will. Donations of securities or land can have extra tax benefits. Talk to your accountant or financial advisor. This is a picture of the Founding Donors’ Wall on the outside of the Nature Centre (click image to enlarge). These organizations and individuals came forward with major contributions for construction of the Nature Centre. Without their support and the help of many other people, the Nature Centre would not have been possible.